It wasn’t long after giving birth that I realized I was going to need an infant floor seat for my 3-month-old. 3 months? Yep. That’s about when my li’l guy was able to hold his head up – and ALL he wanted to do was sit up and look around. It was also about this time that I was beginning to feel a lot better. My pre-pregnancy energy was returning, I was getting more sleep than I did the first couple of months (oh, my WORD, how HARD are those first weeks with a newborn??) and it was time to figure out how to fit in showers, laundry, and basic housecleaning. Nothing crazy, of course. I just wanted to be able to get a few things done during the day! 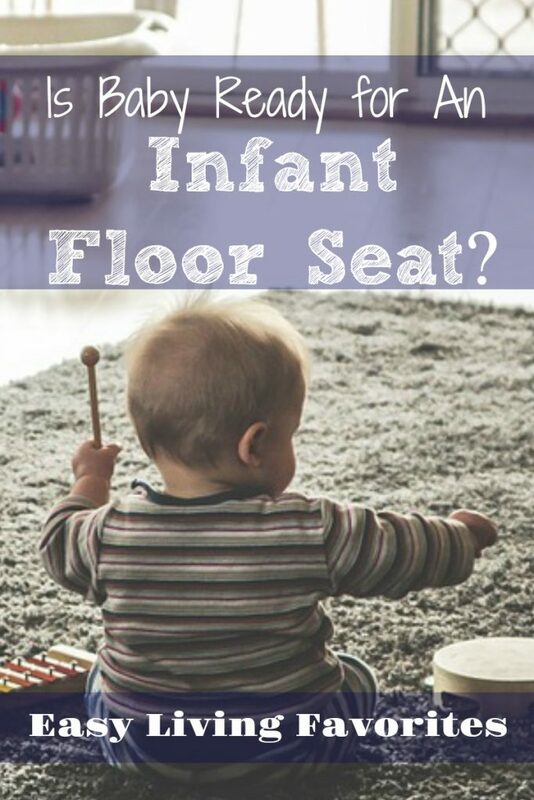 I didn’t get a floor set for my 3-month-old…because I wanted to do my due diligence and find out what my options were and which seats would best suit my needs. Now my li’l guy is almost 5 months old and I have a great seat I love. But more about that later.